How does the BigBelly Solar Compactor work? The BigBelly Solar Compactor, uses compaction to reduce the space taken up by the waste within the bin. As the bin inside the compactor fills, it reaches a point that triggers the compactor which in turn presses firmly down onto the rubbish, compacting it. 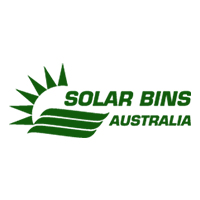 How can installing BigBelly Solar Bins help me? The BigBelly Solar Bin brings waste compaction to street, ultimately providing a kerbside rubbish processing system, all powered by the sun. The BigBelly will compact the rubbish within the bin by up to 5 times, therefore potentially reducing waste removal costs by up to 80%. The BigBelly can operate without any direct sunlight, working anywhere, any times and in any climate! How much energy does the BigBelly use? The BigBelly uses no electricity of the grid at all. No plugs or power! The solar panels charge a battery that sits inside the bin which stores energy to power the compactor. The BigBelly uses about as much energy as a Christmas Tree light bulb! How many customers does BigBelly have? BigBelly Solar has more than 800 customers across Australia and 30 other countries.